Good news for Windows Mobile (a.k.a. Windows Phone) users, Opera’s newest browser, Opera Mobile 10 is now available for the Classic and Professional editions of Windows Mobile 6.5, Windows Mobile 6.1, Windows Mobile 6.0 and on Windows Mobile 5 Pocket PC. I don’t have a Windows phone so I can’t try this myself but I have been using Opera Mobile 10 as the main browser on my Nokia N95-3 for the last two weeks and I recommend that you give it a try. The browser’s speed, rendering quality and compatibility with almost any web page is amazing and equals and in some cases exceeds that of the iPhone browser. Be warned however that this is a Beta and an early one at that. There are missing features, most notably there is no plug-in support so no Flash and there’s no Opera Link bookmark synchronization either. 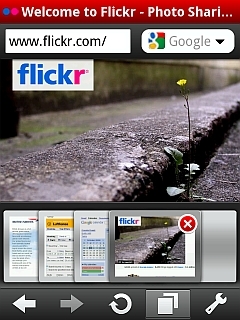 On my Symbian phone, Opera Mobile 10 crashes or hangs occasionally, usually when loading a new page. A couple of times the entire phone has locked up while running Opera Mobile 10 and I’ve has to power cycle to recover. Opera Mobile needs plenty of RAM, at least 40 MB on Symbian, if your phone has less you will see Out of Memory errors loading large pages and using multiple tabs. Overall though I rate Opera Mobile 10 stable enough for regular use. I’m usually able to browse for hours at a time with no problems, pages look great and the browser handles just about every page I throw at it, with the exception of those requiring Flash. For more on Opera Mobile 10 for Windows Phone visit opera.com/mobile/ for a full feature list, video walk-through, tutorials and download links. More details and a list of known issues can be found in a post on the Opera Mobile Blog. There is also a new developer’s perspective article on Opera Mobile 10 at dev.opera.com which details some of the neat things web developers can do with the enhanced CSS3 support in Opera Mobile 10. 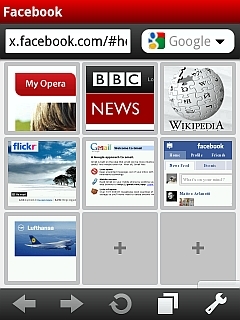 In other Opera Mobile news, last week a new version of the Symbian version of Opera Mobile 10 was released. It comes in two flavors. A new multi-language release (Build 281) with font support for additional languages. This allows menus to be displayed in Russian, Ukrainian, Greek, Chinese, Japanese, Korean, Arabic, Farsi and Hebrew in addition to languages using the Latin character set like English. Thai and Hindi menus are not supported yet, however web pages in these languages should display properly. Both versions include a fix that reduces the frequency of out of memory errors. The browser also gains the ability to pass streaming video and audio links in the phone’s media player and there is a fix for the issue of some phones being unable to display English characters. This entry was posted in Browsers and tagged Full-Web Mobile Browsers, Opera Mobile by Dennis Bournique. Bookmark the permalink.